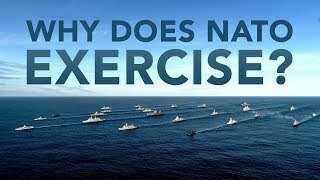 In 2018, Latvia held Exercise Namejs, its largest military manoeuvre since the restoration of independence in 1991. 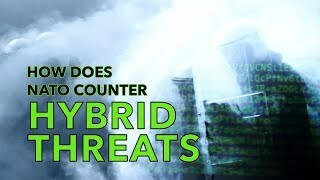 They practised responding against what Chief of Defence Lieutenant General Leonīds Kalniņš called a scenario “very, very close to our perception about threats in our region” – that is, a wide-scale disinformation campaign as a prelude to armed conflict. Exercises like Namejs are useful not only for Latvia, but for the Alliance at large, as Allies share hard-won information and best practices. 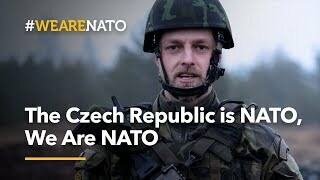 The Czech Republic has been a member of NATO since 1999 and is an equal Ally in NATO. 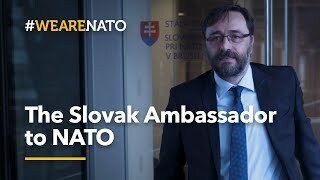 Spojenci v NATO se každý den věnují práci a výcviku, aby Vám zajistili bezpečí. Skrze partnerství a spolupráci svých členů zajišťuje NATO mír a svobodu již 70 let. 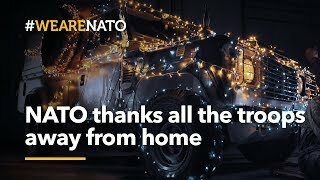 Česká republika je členem NATO od roku 1999 a pro ostatní členy Aliance je rovnocenným spojencem. Walking in formation, the 12 founding members of the Alliance are joined by every other nation in turn, by the year of accession. Flags of the nations joining are displayed on screen in alphabetical order. Today, he is enjoying living in a free world. 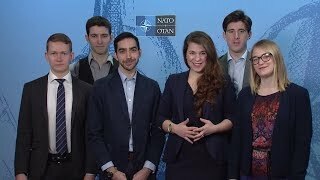 To him, being part of NATO means taking an active part in preserving freedom and democracy. 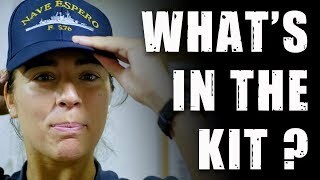 What’s in the kit of a 🇪🇸 Spanish Pizarro gunner? Private Gonzalo Moreno Vecino is a gunner of a Pizarro armoured vehicle in the Mechanised Infantry Brigade “Extremadura XI”. In 2018, Spain deployed his unit in Latvia for six months, as part of NATO’s enhanced Forward Presence battlegroup. 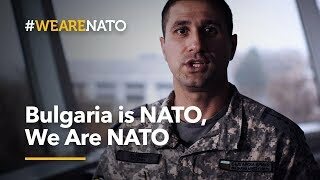 Bulgaria has been a member of NATO since 2004 and is an equal Ally in NATO. Всеки ден съюзниците в НАТО работят и провеждат учения заедно, за да ни предпазват. Чрез партньорство и сътрудничество Алиансът осигурява мир и свобода вече 70 години. България е член на НАТО от 2004 г. и е равнопоставен съюзник в НАТО. 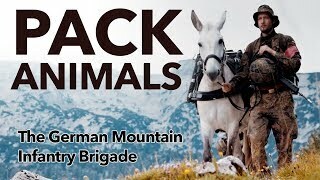 Footage includes various shots of members of the German Mountain Infantry Brigade working together with their mules during exercise Mountain Lion in the Alps. Do you study Architecture, Infrastructure and Facilities Management or Engineering? Do you study Aeronautics,Engineering or Human Resources? Do you have a background in Media or Journalism? After 22 years of service, Dave has now retired from the British Army and is working in construction in his home town of Whitstable, UK. Jarosław is still serving in his unit and has currently put his bike away for the winter. Stefan is still serving the Red Scorpions and is still very much enjoying being a father. 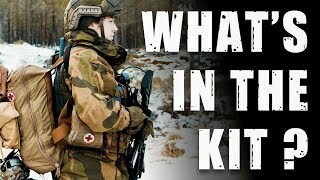 What's in the backpack of a 🇳🇴 Norwegian Army medic? 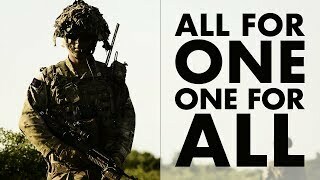 During Trident Juncture 18, around 50,000 personnel from 31 NATO Allies and partner countries tested their ability to operate together in NATO’s biggest exercise in recent years. Held in Norway, the exercise ran from 25 October until 7 November. 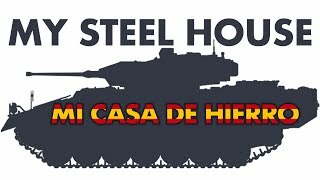 As part of NATO’s enhanced Forward Presence in Latvia, Spain has deployed a heavy armoured unit abroad for the first time. Around 300 troops, 250 of which are from the Mechanised Infantry Brigade “Extremadura XI”, supported by Leopard tanks and Pizarro armoured vehicles, were stationed in eastern Europe for six months. They constituted the second biggest contingent of the Latvian-based battlegroup led by Canada. The battlegroup has also been supported by troops from Albania, the Czech Republic, Italy, Poland, Slovakia and Slovenia. 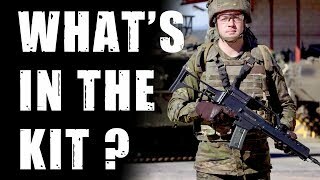 This story follows three crew members of a Pizarro armoured vehicle and their day-to-day life. The film crew embedded with the Brigade “Extremadura XI” from the pre-deployment training until their multinational training in Latvia. Here they share with us both military and more person moments. 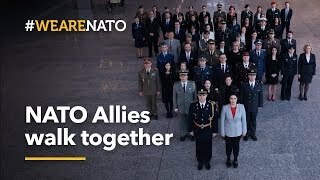 We have seen the move to the new Headquarters in Brussels in spring, the NATO Summit in July, the launch of the NATO Mission Iraq, the Euro-Atlantic Disaster Response Coordination Centre (EADRCC) exercise in Serbia in October and NATO’s largest exercise in decades Trident Juncture 2018. 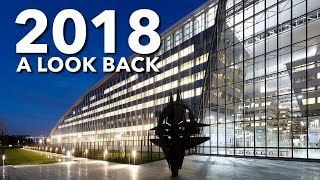 This video looks back at the year and some of its most important events.